Rafa Benítez didn’t have to wait long after leaving Liverpool before his next managerial opportunity came calling; one week, to be precise. And what an opportunity it was. With Liverpool fans still reeling from his departure, the 50-year old faced the glare of the cameras as the new manager of all-conquering Internazionale, marking his first foray into Serie A after stints in Spain and England. Inter represented an irresistible prospect for the ambitious Benítez: the Milan giants sat proudly atop the European game after sweeping an historic and unprecedented treble the previous season, and would be challenging for honours on six fronts – including the FIFA Club World Cup and UEFA Super Cup – in the 2010/11 campaign. 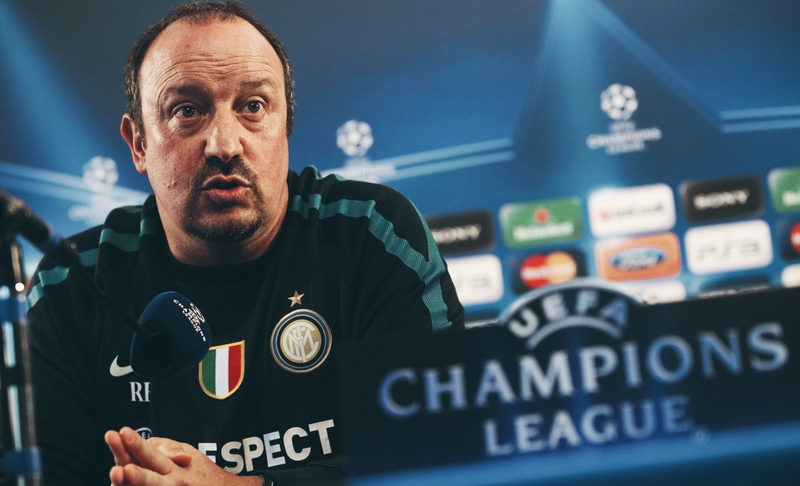 The Nerazzurri and Benítez seemed like a match made in heaven. The Spaniard’s pragmatic and prosaic tactical approach, scorned in Spain and England, appeared tailor-made for the notoriously cautious, conservative landscape of Serie A. At Inter, he inherited a world-class squad awash with recent success and the championship-winning pedigree that eluded even Benítez’s best teams at Liverpool. Yet, little more than six months later, Benítez’s Italian dream lay in ruins, his tenure cut ignominiously short by a rake of poor results, a strained relationship with the club’s owners and a reportedly mutinous playing squad. Inter’s new manager was to discover, like Brian Clough all those years before him at Leeds, a dressing room whose loyalty to their old coach continued unabated even after his departure. The ghost of José Mourinho was to haunt Benítez throughout his short and ultimately doomed tenure at Inter. Mourinho’s departure from Inter for Real Madrid in a blaze of glory left vacant one of the most plum jobs in European football at the time. The stunning decline of Juventus after Calciopoli and the financial difficulties of city rivals AC Milan left a clear berth for Inter at the summit of the Italian game; after years of playing second fiddle to those fellow giants, Inter chalked up four Scudetti on the trot between 2007 and 2010. No longer bridesmaids, the club became one of the most appealing destinations in European football for players looking to enhance their reputations and medal hauls with league success. 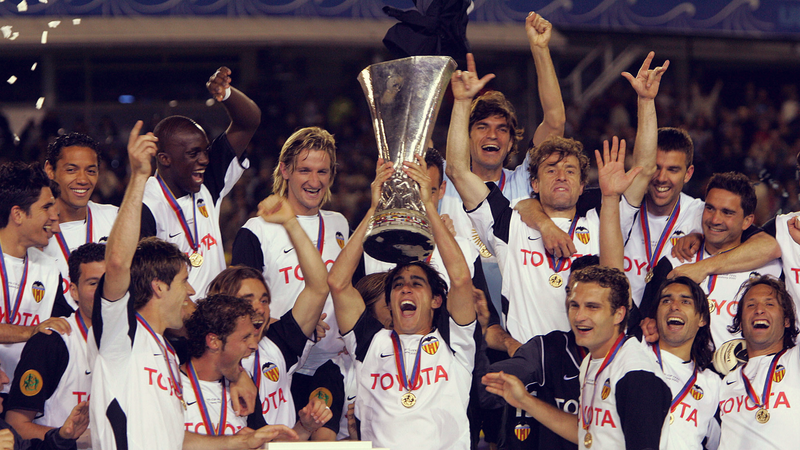 The addition of Mourinho as coach in 2008, meanwhile, offered the missing piece to their long quest for European glory. His Inter side, starring Wesley Sneijder, Javier Zanetti and Samuel Eto’o, conquered Chelsea, Barcelona and Bayern Munich en route to a famous first European Cup since 1965 in Madrid. There were tears, tributes and long embraces as Mourinho embarked on his next challenge, to resuscitate Real Madrid, after gloriously completing his mission with Internazionale. Accepting the job of managing the champions of Europe, then, seemed like a no-brainer for Benítez after a difficult end to a once-lustrous tenure at Liverpool. Yet there may have been another, less obvious, allure to the Inter job for the Spanish coach. Despite Benítez having never managed in Italy, its roots were deeply personal: the animosity between Benítez and Mourinho was well-known, with the pair having engaged in a series of highly publicised spats while in charge of Liverpool and Chelsea respectively. The feud began with Luís Garcia’s famous ‘ghost goal’ that eliminated Mourinho’s Chelsea from the European Cup at the semi-final stage in 2005, a result that to this day probably still incenses the Portuguese. “The best team lost,” fumed Mourinho immediately after the game. “After they scored only one team played. The other one just defended for the whole game.” The mutual dislike between the pair continued with their failure to shake hands after Liverpool defeated Chelsea in the 2006 FA Cup semi-final. Brian Clough and Don Revie endured a similar rivalry in the 1970s. 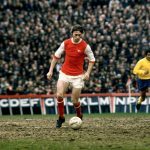 Clough’s Derby and Revie’s Leeds duked it out at the top of the English game for years, Revie incensing Clough with the physical and bruising style his team imposed upon the rest of the league. The discord and dislike between the pair was well-documented, yet few would have predicted, when Revie vacated the Leeds hot seat to take the coveted England job, that his replacement at the English champions would be Clough; Clough, with a point to prove; Clough, with a vow to “win it better” than Revie did. Did Benítez, stung by Mourinho’s recent criticism of his lack of trophies at Liverpool, aspire to create a dynasty in Milan that overshadowed and surpassed his rival’s recent achievements at the club? 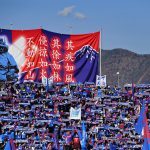 His suggestion that the club was at the dawn of a “historic time” certainly indicated a coach with his eyes set firmly on the long-term future. It didn’t help that, despite the similarities in their tactical outlook on the game, there were stark differences between the personalities of the two men. At Porto, Chelsea and Inter, Mourinho had succeeded in fostering powerful bonds with his players, demonstrated by that famous embrace with Materazzi after the Champions League final, forging defiance and unity in his squads as he pitted them against the world. “I was prepared to kill and die for him,” declared Inter talisman Wesley Sneijder. Benítez, by contrast, was aloof and distant; his captain and most important player at Liverpool, Steven Gerrard, characterised his approach as “frostiness,” and admitted that even after six years together as manager and captain, “there is no bond between us”. Inter president Massimo Moratti later noted Benítez as a “great professional”, but also that “there was a huge difference between his communicative character and relationships [and those of Mourinho]”. The Inter players would quickly have to become accustomed to a colder, more clinical style of man-management than the one that had brought them such success and camaraderie under Mourinho. Benítez’s duty was to convince the Inter players to break their undying loyalty to their former coach and rally around the new regime, but Mourinho, still lionised among Inter fans and players, retained his capacity to inflict damage from afar. Even while preparing for his maiden season at Real Madrid, the Portuguese still found time to make life difficult for Benítez, calling into question his credentials for the Inter post and opining that he had overseen a Liverpool side in ‘terminal decline’ for the past six years. “Over the last years, they [Liverpool] have been getting worse, worse and worse,” Mourinho remarked. “The Liverpool of 2004 was better than the Liverpool of 2005, 2005 was better than 2006 and 2006 better than 2007.” Even worse, Mourinho appeared to insinuate that despite any success Benítez might enjoy at Inter, this was very much still ‘his’ team: “Should he lift the Intercontinental Cup, he will have only won two games compared to my 13. Therefore it will be my trophy and not his. “One thing is certain,” he finished menacingly. “Benítez won’t do better than me at Inter.” The stage was set for Benítez’s uphill battle at Internazionale. Six days after Mourinho’s acerbic remarks on Benítez’s prospects in Italy, Inter began the defence of their Serie A title with a limp goalless draw against minnows Bologna. Mourinho’s Inter had swept them aside 3-1 in the same fixture the previous year. Benítez had already passed his first test at Inter, winning the Supercoppa against Roma, but days later his second opportunity for silverware fell by the wayside with defeat to Atlético Madrid in the UEFA Super Cup. It had been a quiet summer in the transfer market for the club, marked mainly by the sale of Mario Balotelli to Manchester City and Ricardo Quaresma to Beşiktaş; a squad that had annexed three major trophies the previous season seemingly needed little renovation. Trouble, though, was already brewing. Benítez had made no secret of his desire to leave his own mark on the Inter squad by adding new players. Clough at Leeds had attempted to rid the dressing room of the clinging shadow of Revie by bringing in some of his own loyal servants from Derby, John McGovern and John O’Hare, to the chagrin of the Leeds players and board. Benítez, too, prioritised the signings of two of his trusted lieutenants from the Liverpool days. Combative midfielder Javier Mascherano had been angling for a transfer away from the Reds with seemingly only one destination in mind, having revealed during the World Cup that he was learning Italian: a transfer to Inter seemed imminent. Another of Benítez’s stalwarts at Liverpool, tireless forward Dirk Kuyt, was also viewed as an essential addition. Benítez later alleged that the Inter hierarchy had promised to sign these two players, in addition to Manchester United and France left-back Patrice Evra, however the summer passed by without any movement on those fronts. Mascherano would eventually join Barcelona, while Kuyt and Evra remained at their respective clubs. Perhaps the Inter board felt that the previous season’s treble spoke for itself and there was little evidence that an overhaul was required – whatever the case, Benítez was left frustrated at the board’s inability to sign the players he felt necessary. Inter won their next three league games, against Udinese, Palermo and Bari, but there were early signs that discontent with the new regime was already beginning to fester in the dressing room. Roma claimed a 1-0 victory in the following match, and on 3 October, midfielder Sulley Muntari stormed out of the San Siro before a listless 0-0 draw against Juventus after being informed he would not be starting the game. “Sulley must understand that there are others, and that the others are important,” Benítez commented. Such a show of disunity and petulance, however, would have been unthinkable under his predecessor. As results swiftly turned against Benítez, the spectre of Mourinho continued to haunt the Spaniard at Inter. A series of uninspiring draws in October gave way to a dreadful November, in which Inter drew twice – against Serie A newcomers Atalanta and Brescia – and lost twice, in the Milan derby and against minnows Chievo. Each torrid result and performance was held up and compared to the results achieved by Mourinho in the corresponding fixtures from the previous season. His Inter had crushed Milan 4-0 and 2-0 in the two derbies in 2009/10, a far cry from the lifeless performance of Benítez’s side in their defeat. The defeat to Chievo left Inter nine points adrift of leaders Milan; at the same stage the previous season, the team had sat proudly atop the table. Benítez’s mounting problems at Inter were not lost on Mourinho’s corner, who relished the opportunity to twist the knife in their rival from afar. As a flurry of Inter players succumbed to injuries during the club’s November malaise, Mourinho’s long-time fitness chief Rui Faria – who had followed the Portuguese from Inter to Real Madrid – suggested that Benítez and his methods were responsible. 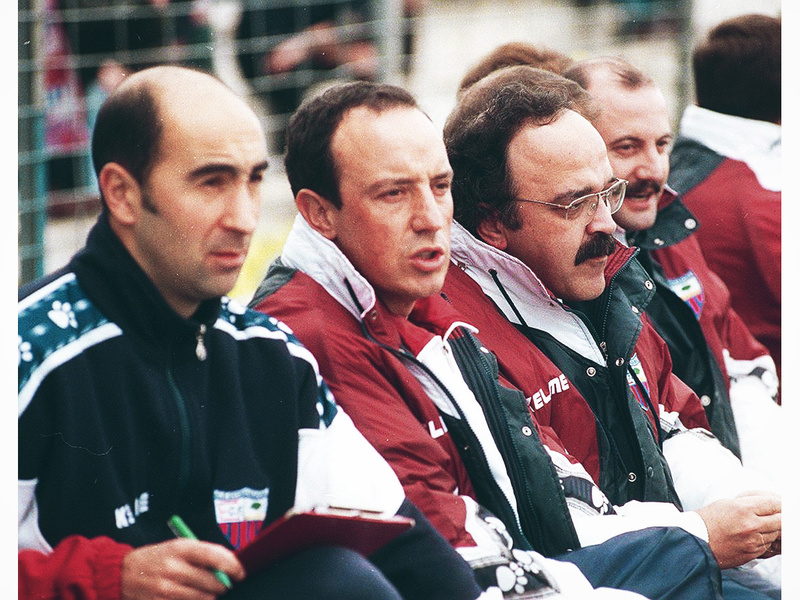 Benítez compounded the deepening crisis by creating problems with the Inter hierarchy, and particularly Moratti. Already plagued by incessant public demands from Benítez for funds to strengthen the squad, Moratti was incensed when the manager purposely fielded an understrength team as Inter slumped to a 3-0 defeat to Werder Bremen in the Champions League. Despite having already secured qualification for the knockout stages, the result meant that Inter finished second, and would likely face a more difficult draw in the Round of 16. Benítez seemed to have his eye on the forthcoming Club World Cup in December, but his team selection sent out the wrong message about Inter’s intentions to defend the trophy they had won the previous season. “As an Inter supporter, I didn’t like it,” was Moratti’s terse verdict after the game. The reversal at the hands of Werder Bremen came off the back of an abject 3-1 defeat to Lazio, a loss which marked Inter’s fifth winless game in the past six Serie A matches and their third defeat in the previous four. Facing criticism from the former regime, unrest among his players, disapproval from the club president and worsening results, Benítez headed into the cold December knowing that he had perhaps weeks to salvage his future at Inter. His new journey with the European champions was quickly turning sour. Inter jetted off to the United Arab Emirates to take part in the Club World Cup in December and for the beleaguered Benítez, it arrived at the perfect time. Far from the scrutiny and displeasure of mutinous Interistas in Milan, the competition offered the troubled manager and his team the opportunity to pick up some morale-boosting silverware and forget, for a while at least, their domestic tribulations. Little did the Spaniard know, however, that the competition would herald the beginning of the end of his disastrous Inter tenure. Inter, as expected, won the tournament, easily dispatching mediocre opposition in Seongnam and Mazembe, but the internal discontent at Benitez’s management once again reared its head. Club stalwart Dejan Stanković scored and starred in the semi-final victory over Seongnam, and expected to keep his place in the team to play Mazembe in the final, but Benitez had other ideas and the Serbian midfielder was limited to an appearance as a second-half substitute. The difference between Benítez and Mourinho in terms of understanding their players was once more made abundantly clear to the Inter squad in the respective coaches’ treatment of veteran defender Materazzi. In the 2010 Champions League final, with Inter 2-0 ahead, Mourinho allowed Materazzi his moment of glory with a late substitute appearance; meanwhile, despite a comfortable 3-0 lead against Mazembe in the Club World Cup final, Benítez opted to use Macdonald Mariga instead of Materazzi as his final sub. It was a horrendous miscalculation by Benítez, who appeared to be using the Club World Cup triumph as leverage for the provision of transfer funds by the Inter hierarchy. But two victories against continental minnows were no panacea – in the eyes of the board – for the team’s domestic ills, and Benitez was finally sacked by Inter five days later. “We made a mistake appointing him,” Moratti conceded to La Gazzetta di Parma earlier this year, reflecting on Benítez’s short spell in Milan. The reality, though, is that after Inter’s first choice Fabio Capello made it clear that he intended to remain England coach, Benítez was among the next best options. One of the foremost coaches in world football, having tasted domestic success in Spain and European success with Valencia and Liverpool, Benítez looked a safe bet to continue the club’s trophy-laden era. The Inter job turned out to be a poisoned chalice for Benítez. The all-conquering Mourinho would have been a difficult man for any manager to replace, never mind the coach who had been at the centre of a bitter and long-running feud with the mercurial Portuguese. Benítez arrived at Inter mere weeks after Mourinho had led the club to the greatest achievement in its history and, far from presiding over a seamless transition to the next chapter, he inherited a dressing room still smarting from the departure of their beloved mentor and suspicious of the man he relished in disparaging at every opportunity.